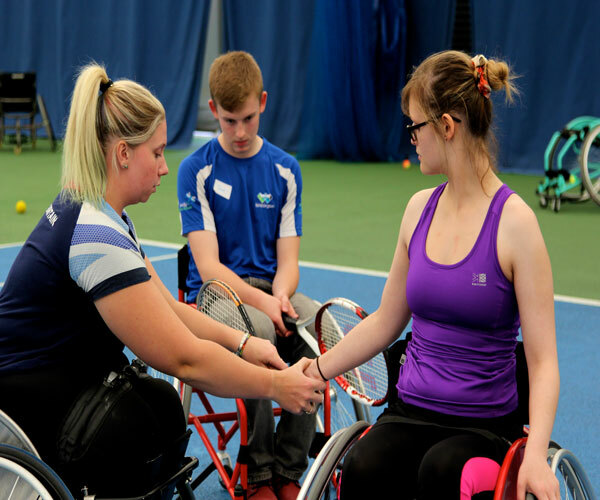 Students at the Dragonfly Education Trust were invited to Writhlington Tennis Centre to take part in a bespoke workshop with renowned Paralympic Tennis player, Louise Hunt. Writhlington and Mendip Studio School have had the privilege of welcoming many professional athletes throughout the year including Paralympic Swimmer Kate Grey, British Hurdles Champion, Dai Greene and British Judo representative, Tom Reed who have delivered inspirational talks and workshops for budding future sporting stars. 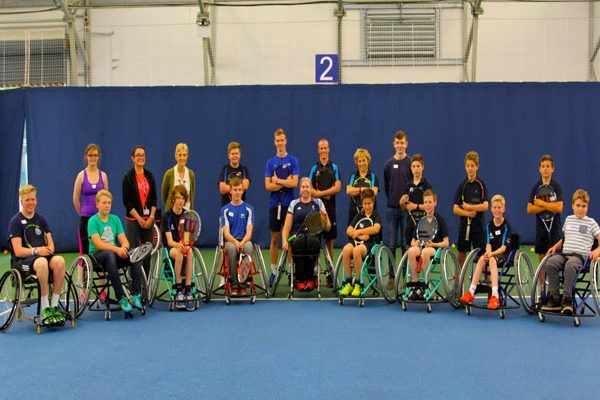 Louise Hunt’s visit was organised by Mandy Stonier, Head of Tennis, in conjunction with Sport England and the Tennis Foundation. 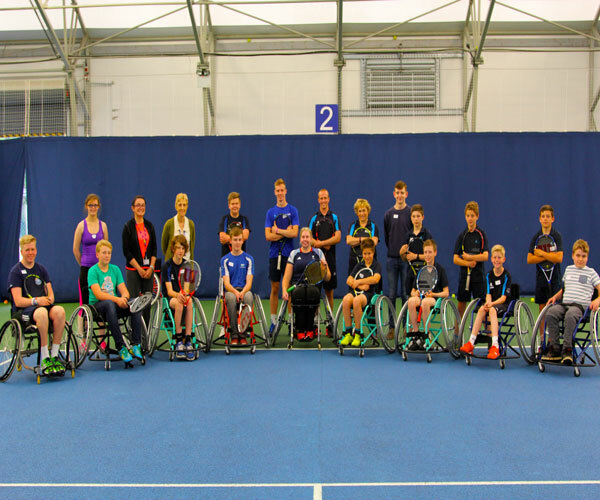 Students were invited to take part in a Question and Answer session with Louise before joining in with Louise on court for a training session. ‘I enjoyed the session and learned a lot. She was very funny and made me laugh. She really helped me with my forehand and I would like to work with her again. 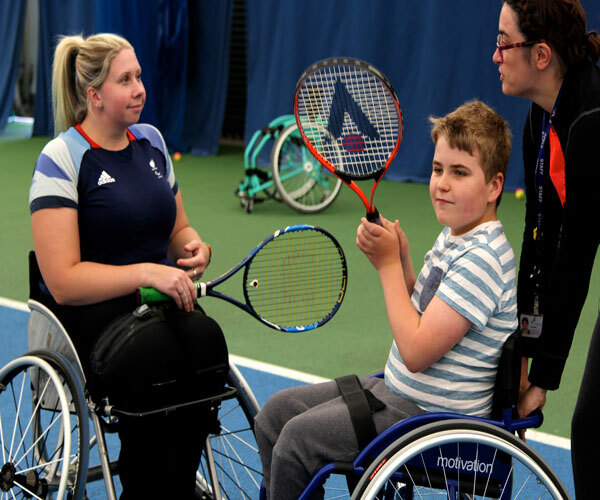 ‘ It was a real privilege to welcome Louise to our Tennis centre, we have some very hard working and inspiring students who play every week and we would like to get them to a point when they migh eb able to join in with some LTA training camps for wheelchair users. This was a unique opportunity, Louise was passionate and the visit really made a difference to our students. Louse Hunt commented at the end ‘ this has been an excellent afternoon and thank you for inviting me to meet your students, I would love to come back again to help with developing your players. 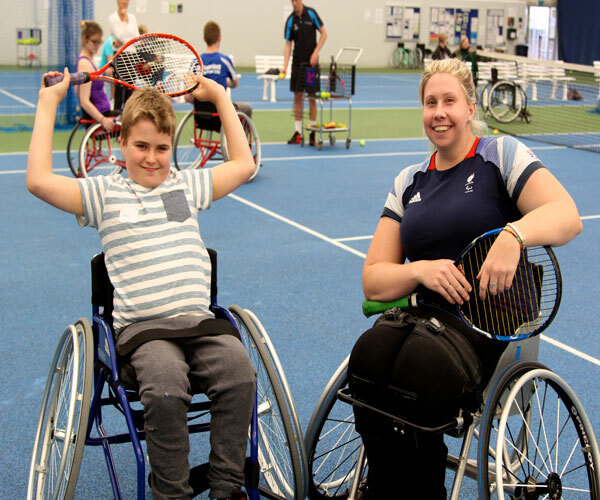 Louise has been given a wildcard and so will be playing at Wimbledon next week in the wheelchair singles competition.